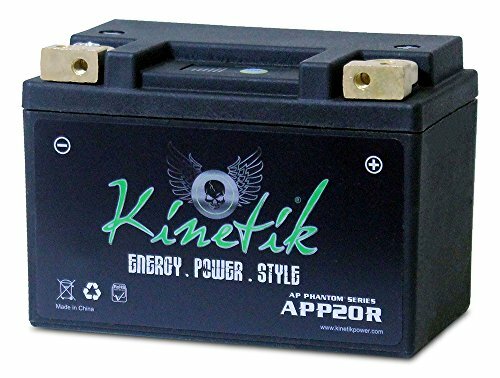 Kinetik Lithium Iron Phosphate (LiFePO4) engine start batteries are designed to replace Flooded, AGM, and Gel cell lead acid batteries in Power Sport applications such as motorcycles, ATVs, personal water craft, lawn mowers, utility vehicles, scooters, and dirt bikes. Case Dimensions:5.83 in x 3.40 in x 4.13 inWeight: 3.10 pounds. If you have any questions about this product by Kinetik, contact us by completing and submitting the form below. If you are looking for a specif part number, please include it with your message.